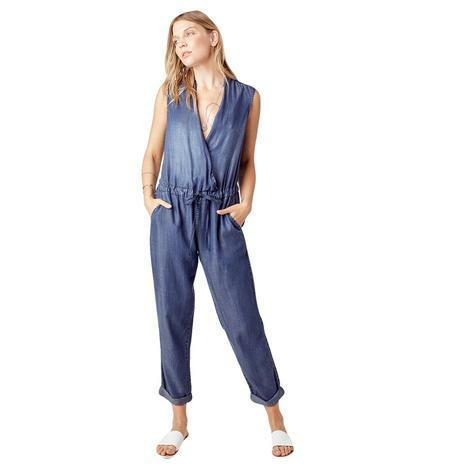 Women's midnight wash sleeveless denim jumpsuit has a drawstring waist and rolled cuffs. 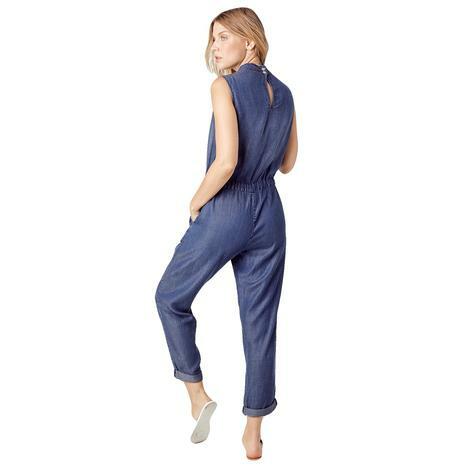 Easyfit, soft and comfortable as well as a cute outfit to bebop around in. This gorgeous top is sleeveless with a v-neck eyelet border scalloped top. Perfect for Spring and Summer.